Simplicity and functionality distinguishes the Murray 20. Featuring an open kitchen, dining and family rooms, this home provides space for the whole family. Enter via the porch and you will find a generous living room, master bedroom complete with walk-in-wardrobe and ensuite and three additional well-sized bedrooms. 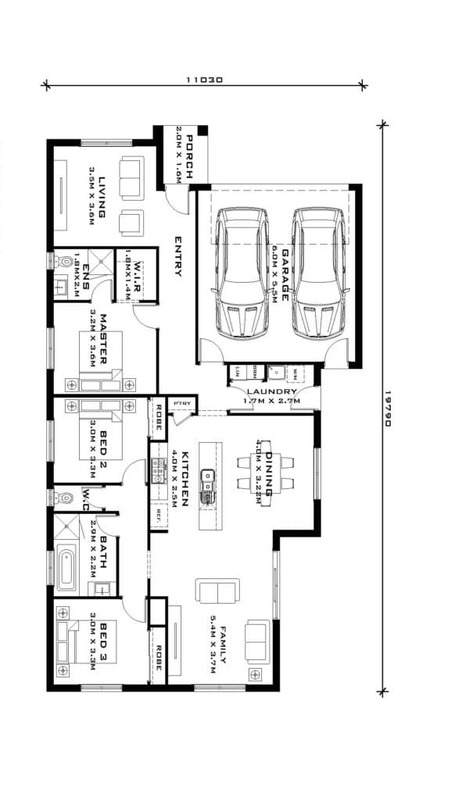 Notably, this plan also incorporates a 2-car garage and dedicated laundry area.